While bright red male Cardinals seem purposefully to expose themselves on open branches, possibly to make attracting females easier, the girls stay more hidden in brush and tree branches. In many incidences, that makes them harder to photograph. 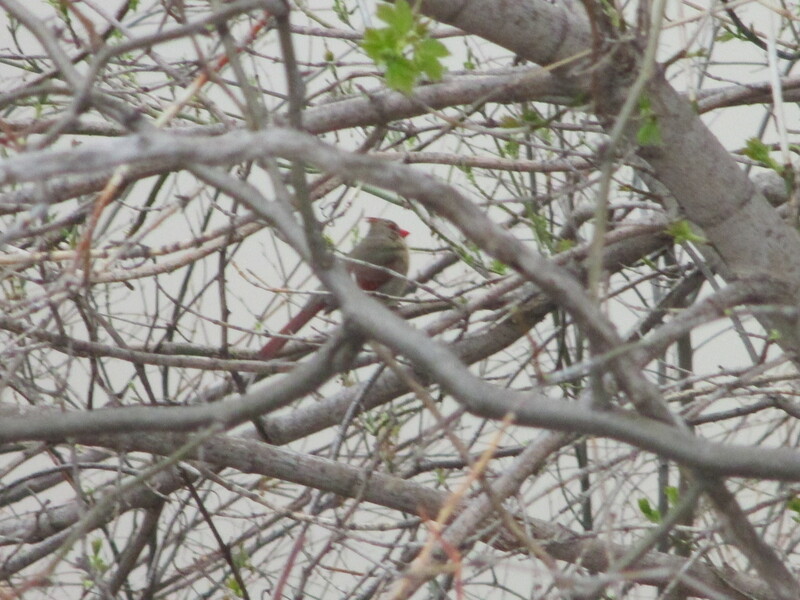 In fact, since earlier in the Spring this season, I’ve gotten one good chance at capturing a female in the only place I’m able to photograph — the backyard of our apartment building. Female Cardinals are a good example of how bright coloration favors the male in the bird world, probably for the reason mentioned above: being the mating aggressor, the male needs to be seen more readily for purposes of necessary attraction. In the second photo, this same female has gone down closer to the riverbank (note the rocks) in search of nesting materials. 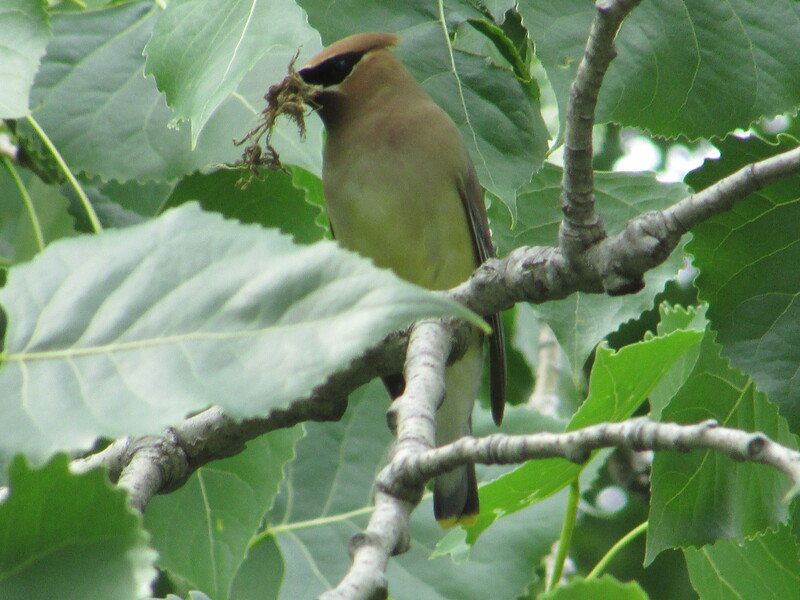 She holds a tiny branch in her beak. 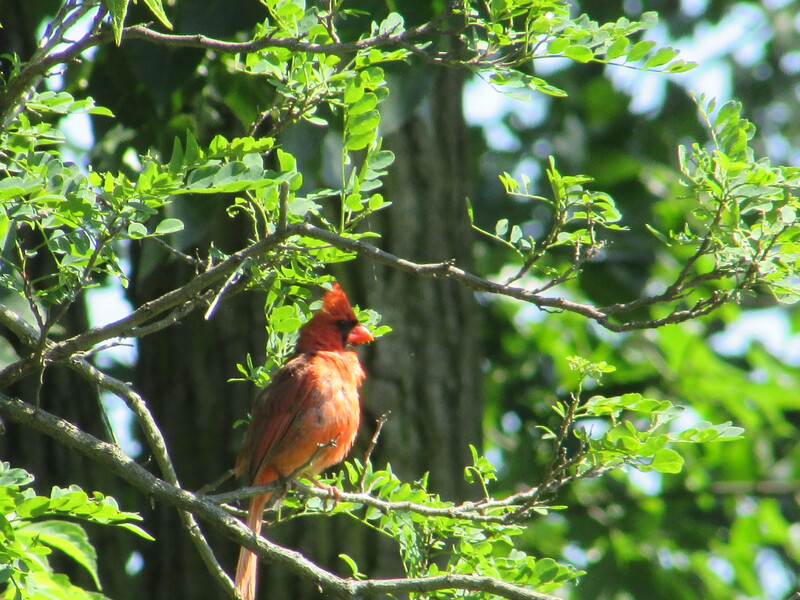 Learning to whistle like a Cardinal actually gets results in luring those birds to perch closer to your camera range. They work their way closer to you as you continue to whistle in reply to them. 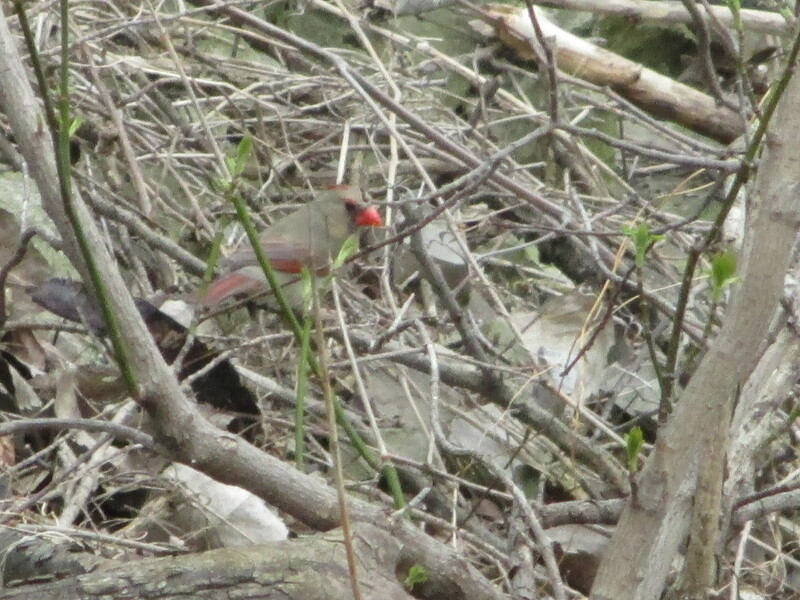 Here are a few decent shots I got of our Cardinal friends visiting the riverbank trees behind our apartment building. The fellow in the large left photo below was caught preening, and I thought he looked more like a parrot when I captured him in this pose fairly close in front of me on a low bush on the riverbank.